It's one of – if not the – most famous unsolved missing person cases of the last 20 years, and now the story of Madeleine McCann's disappearance has been given the Netflix treatment. The Disappearance of Madeleine McCann drops on the streaming service tomorrow (Friday March 15) and is reported to contain "never-before-heard testimonies from those at the heart of the story". The ongoing, high-profile case of McCann, who went missing in May 2007 from her family's holiday villa in Praia da Luz, Portugal, at 3 years old, will no doubt reignite an international discussion about the case when it joins Netflix's growing catalogue of true crime documentaries. Here's everything we know so far. According to Netflix, the eight-part series of hourlong episodes will take "a detailed look" at the case of McCann, who disappeared more than a decade ago and would now be a teenager. 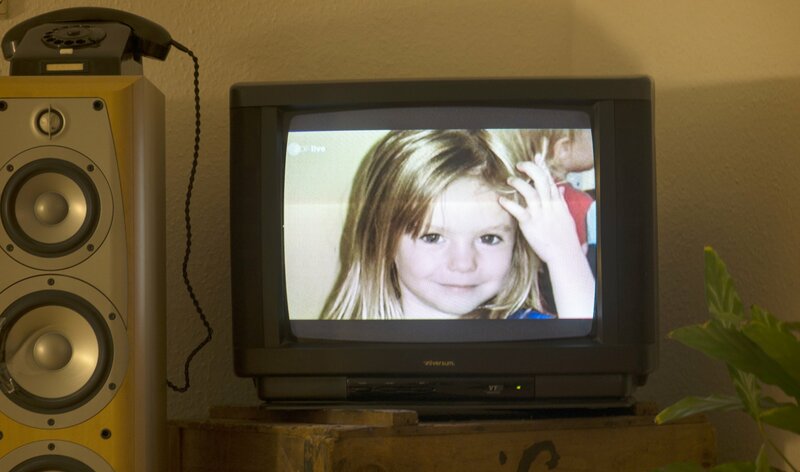 "By blending new interviews with more than 40 contributors, 120 hours of interviews, archival news footage and reenactments, The Disappearance of Madeleine McCann goes beyond the headlines and takes a unique look at the facts of the case as well as its impact on media standards around the world," a spokesperson for the streaming service said. One of the most headline-worthy claims to emerge reportedly comes from senior child protection officer Jim Gamble, who hints that McCann could still be alive and found with the help of improved technology. "There’s huge hope to be had with the advances in technology. Year on year DNA is getting better. Year on year other techniques, including facial recognition, are getting better," he says. "And as we use that technology to revisit and review that which we captured in the past, there’s every likelihood that something we already know will slip into position." Netflix commissioned the long-awaited documentary from the London-based Pulse Films in 2017 following the success of true crime programs like Making a Murderer, but the series has been repeatedly delayed because key figures involved in the case refused to take part. As such, there has been speculation that it will "lean heavily on interviews with the Portuguese officials who originally investigated the case, many of whom have since established media careers discussing the incident," as the Guardian reported. Kate and Gerry McCann refused to participate in the documentary, saying they failed to see how it would contribute to their efforts to find their daughter and even claiming it could jeopardize the ongoing case. "Kate and Gerry and their wider family and friends were approached some months ago to participate in the documentary," the family’s former spokesman, Clarence Mitchell, who still responds to media inquiries, told the Guardian. 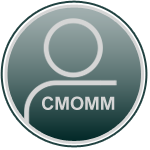 "Kate and Gerry didn’t ask for it and don’t see how it will help the search for Maddie on a practical level, so they chose not to engage." Anthony Summers and Robbyn Swan – Investigative journalists who co-wrote Looking for Madeleine, a 2015 book about the McCann case. Gonçalo Amaral — Former chief investigating coordinator with the polícia judiciária in Portimão. After his dismissal, Amaral wrote a controversial book about the McCann case. Sandra Felgueiras — Journalist with RTP (Rádio e Televisão de Portugal) who covered the McCann case. Robert Murat — Local Portuguese-British man who was declared 'arguido', or suspect, in the McCann case. His arguido status was lifted due to lack of evidence. Ernie Allen — Former president and CEO of the National Center for Missing & Exploited Children. Jim Gamble — Former senior British police officer and former head of the Child Exploitation and Online Protection Centre (CEOP). Phil Hall — Former newspaper editor who worked as a PR consultant for the McCanns. Susan and Haynes Hubbard — Friends of the McCanns. Father Haynes Hubbard was senior chaplain of the Algarve Anglican Church. Kelvin MacKenzie — Former editor of The Sun newspaper who clashed with the McCanns over the media’s standards when covering the case. Sergey Malinka — Russian immigrant who was questioned by the polícia judiciária because of his business relationship with Robert Murat. Paulo Pereira Cristóvão — Former detective with the polícia judiciária. Patrícia de Sousa Cipriano — Lawyer and president of the Portuguese Association of Missing Children. Justine McGuinness — PR advisor to the McCanns. Homayra Sellier — President of Innocence in Danger, an organisation that works to protect children from abuse and exploitation. Margarida Davim — Journalist who co-authored the controversial "Pact of Silence" article that appeared in a Portuguese newspaper. Felícia Cabrita — Portuguese investigative journalist who co-authored the "Pact of Silence" article and is known for reporting on Portugal’s Casa Pia child abuse case. Martin Grime — Forensic dog trainer who brought his blood- and cadaver-sniffing dogs to Praia da Luz. David Hughes — PR advisor hired by the McCanns after they returned to England. Brian Kennedy — Businessman and McCann benefactor who funded independent investigations into Madeleine’s disappearance. Patrick Kennedy — Brian Kennedy’s son. He travelled with investigators to follow leads in the McCann case. Rogério Alves — Lawyer for Kate and Gerry McCann. Julian Peribañez — Spanish private investigator who went to the Algarve to try to uncover new information. Melissa Little — Police forensic artist who sketched strange men witnesses say they spotted near the Ocean Club Resort. Richard Parton — Freelance voice analyst hired by Washington, DC-based detective agency Oakley International. The Disappearance of Madeleine McCann is available on Netflix from 15th March. "We couldn't really go cos it would jeopardise our ongoing case against Amaral and there is a lot of dosh to be lost, so we thought we'd send our friends along instead"
How transparent can you get? Says the media manipulator "The 8 hour Netflix documentary offers thing new"
And the constant recycling in the UK gutter press that you control Clarence, does at offer anything new? That's interesting but it is the ITV this morning with Eammon Holmes and his wife Ruth I am.looking for. Seems Mitchell has had some bad press. I want to.know why? What did he say? Can not.locate the full interview? It wasn't intended to be in response to your comment Brookers. I saw it earlier and thought it worthy of note. Clarence Mitchell is a never ending source of fascination for me. His ability to stand before the world and so glibly defend his paymaster general against all odds is quite remarkable. The media is absolutely saturated with recycled MCann garbage lately - I don't even bother to click on the google alerts anymore. @sharonl wrote: "We couldn't really go cos it would jeopardise our ongoing case against Amaral and there is a lot of dosh to be lost, so we thought we'd send our friends along instead"
This refusal by the McCanns to have any part in the Netflix film (it's not a documentary in the true sense of the word), is reminiscent of the Tapas group's refusal to take part in the PJ reconstruction. The McCanns were willing to participate, or to be more precise - had no choice, yet their group of friends declined the opportunity to assist the Portuguese investigation. They couldn't see how the proposed reconstruction could help the 'search' for Madeleine, or to be more precise - were scared witless, lest they be detained. Now why would that be I wonder? If they had taken part, what could they possibly say or do without incriminating themselves even further? Kate would have to do her whoosing curtain bit because she done it in other documentaries. @sharonl wrote: If they had taken part, what could they possibly say or do without incriminating themselves even further? Now now, don't be facetious . Having seen extracts and read and heard comments about the Netflix production, I am inclined to believe that it was "reverse publicity" : many people, hearing that they didn't want to be involved, thought there were going to be juicy and/or scandalous revelations or theories "purported", and would be curious to see what the McCann camp didn't want to talk about! Good thinking batman although I'm inclined to think, knowing the way team McCann operate, this is something more McCann motivated than a simple Netflix publicity stunt - although it could well be part of the overall cunning plan. The Three Musketeers - all for one and one for all. @Verdi wrote: Good thinking batman although I'm inclined to think, knowing the way team McCann operate, this is something more McCann motivated than a simple Netflix publicity stunt - although it could well be part of the overall cunning plan. I meant that it was a ploy on the part of the McCann camp, not Netflx.. There's a video of Eamon Holmes with Clarrie on the Daily Mirror website. Date 15th March, 2019. I had a quick read of the interview but it seems as though Eamon was saying that the Netflix film/docu could be seen as entertainment. Didn't watch it as I avoid any of Clarrie's interviews but I didn't think it sounded as though Eamon Holmes rocked the boat so to speak. So where is Clarence Mirchell getting his wages from ((the fund?) And how much his he paid to peddle this drivel? @Brookers wrote: So where is Clarence Mirchell getting his wages from ((the fund?) And how much his he paid to peddle this drivel? I'll take a guess and say that he is very busy controlling what comes out about Brexit and the forthcoming elections at the moment. Yes, he seemed to be working for the McCanns but I wouldn't be at all surprised if he was a government agent all along and still is. Anyway, who is the government head of media manipulation at the moment if it isn't him? did anyone ever replace him? For myself, I enjoyed that. Nice find Verdi. It's distressing - and that's straight from the horse's mouth, or if you prefer the Nags Head . The quest to find Madeleine McCann first captivated global audiences in 2007. Now, nearly 12 years have passed, McCann still missing, and it’s wide-reaching media coverage stands as one of the most extreme examples of journalistic communication, community fear and global sympathy. Director Chris Smith and Executive Producer Emma Cooper set out to capture the infatuation with the British, 4-year-old’s disappearance from an Algarve, Portugal, resort in the latest Netflix documentary series The Disappearance of Madeleine McCann. The documentary takes viewers inside the disappearance, evidence and media fascination with the unsolved case. Smith said the goal of the eight-part series is to show current audiences exactly what happened in the investigation. But this series, according to Smith, Cooper and Netflix, is not a true crime story like may of Netflix’s successful documentary releases. Though it focuses on crime, there is no who-done-it and no answers. What McCann’s story is, instead, is a reflection and an advocacy project. The hardest part of creating a moving, timely piece that pays respect to McCann and her family was revolving around the reality that McCann, who would now be almost 16 years old, is still missing. McCann’s family, who continue to search for their daughter, does not approve of the series.